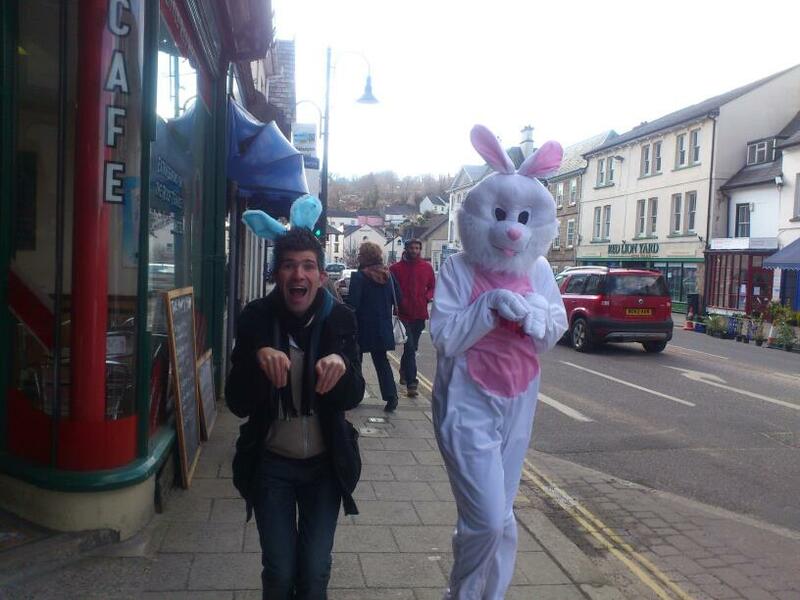 There’s nothing quite like getting out and about and meeting the masses, and putting a smile on their face! 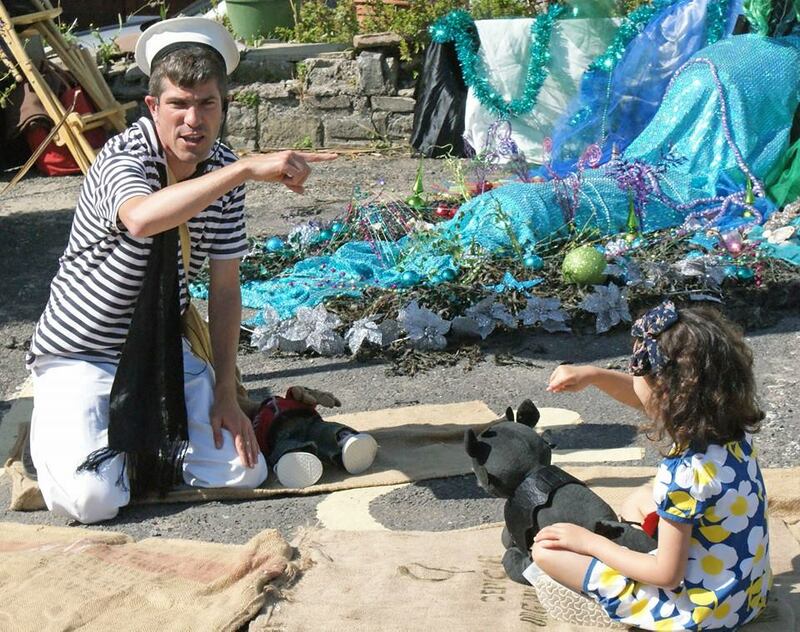 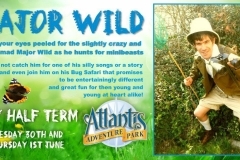 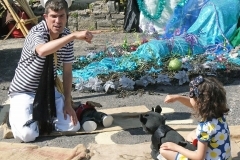 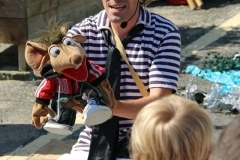 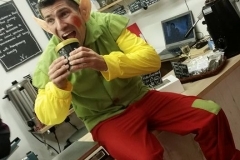 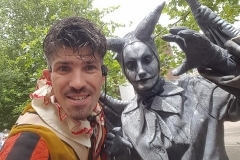 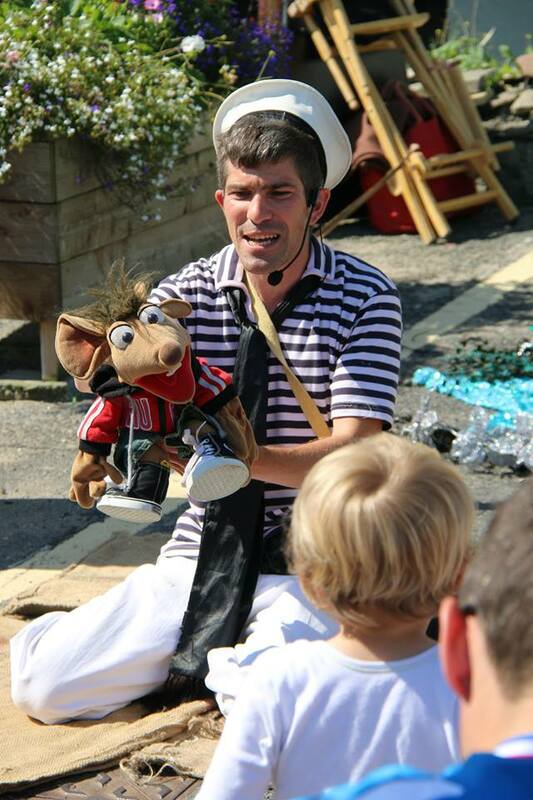 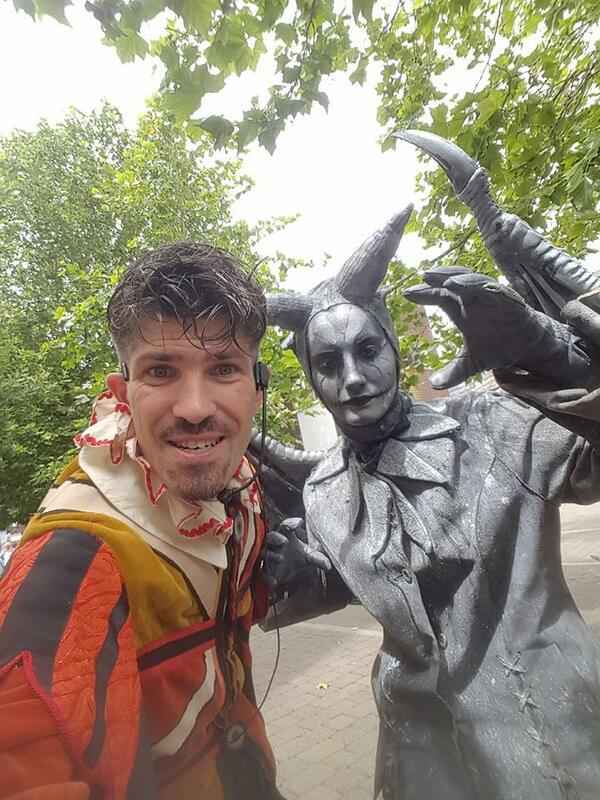 Rob and the gang offer street theatre in various forms, be it generic Entertainingly Different antics or themed shows, such as pirate shows, traditional tales or christmas shows (see performances). 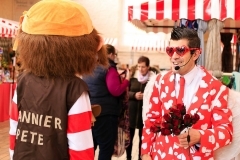 There are also a whole host of ‘characters’ that can be called upon when the occasion arises. 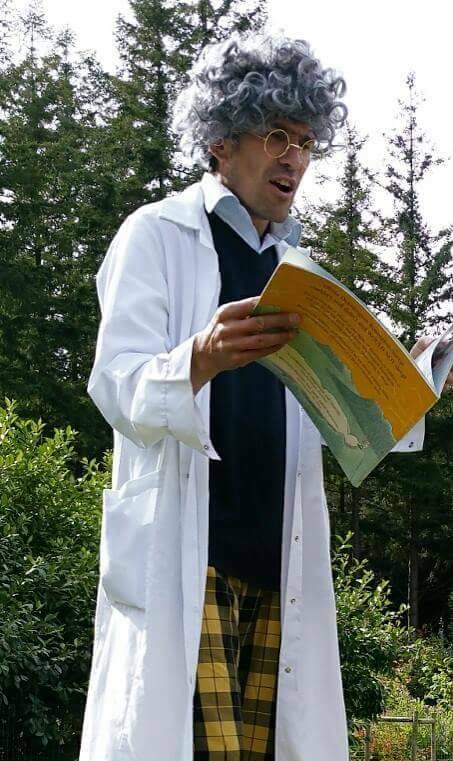 The Professor loves nothing more than a good story, and indeed sharing those stories with the young and old. 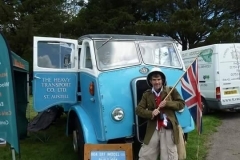 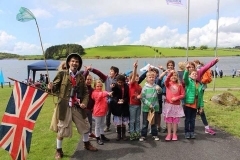 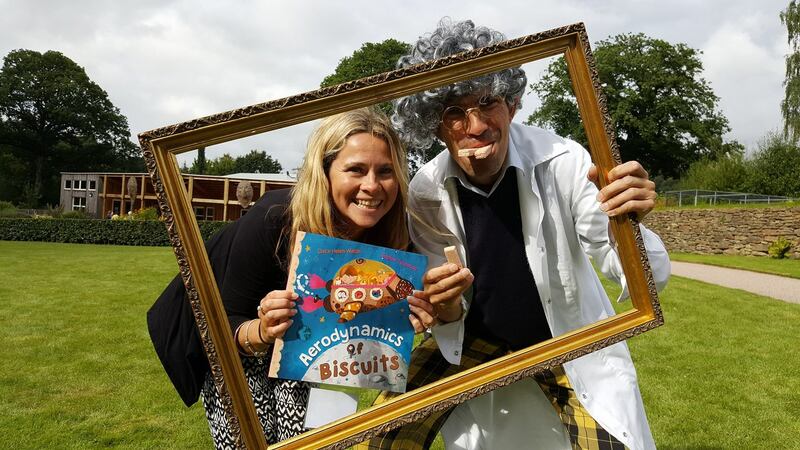 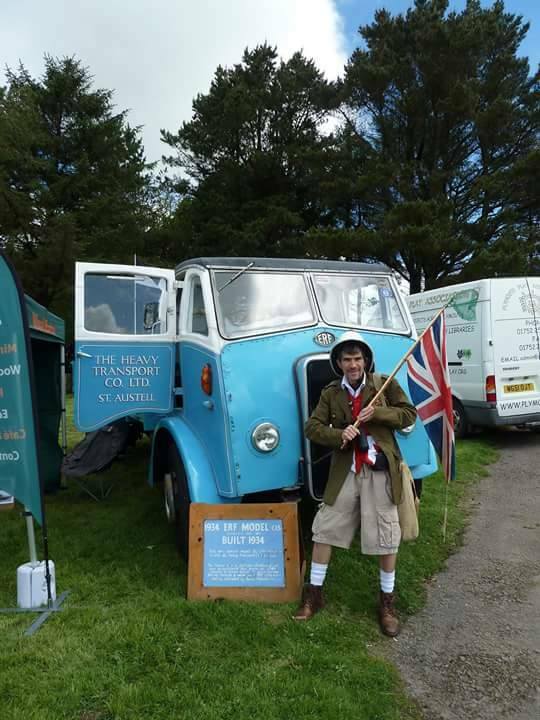 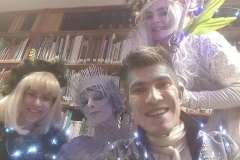 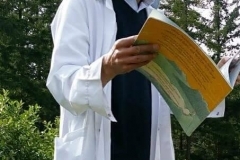 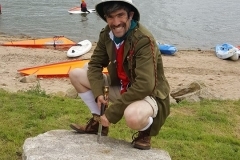 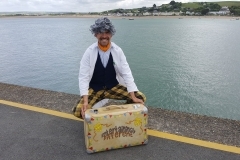 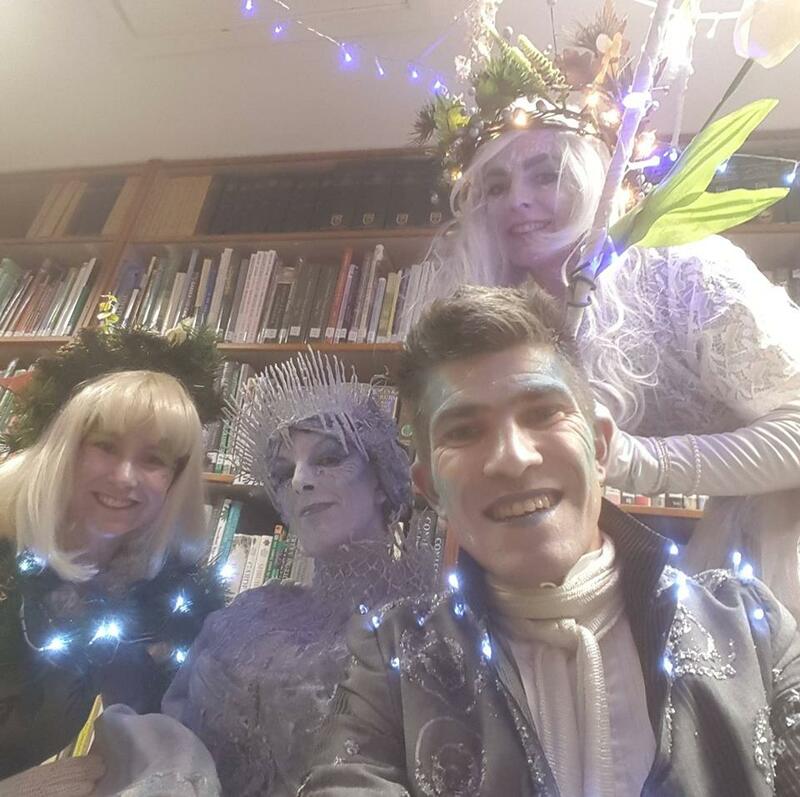 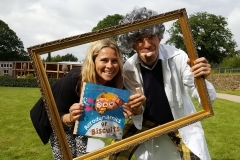 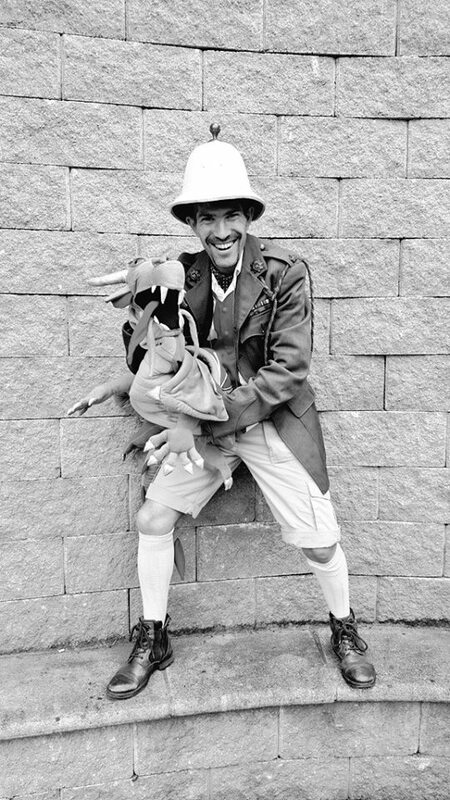 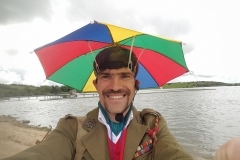 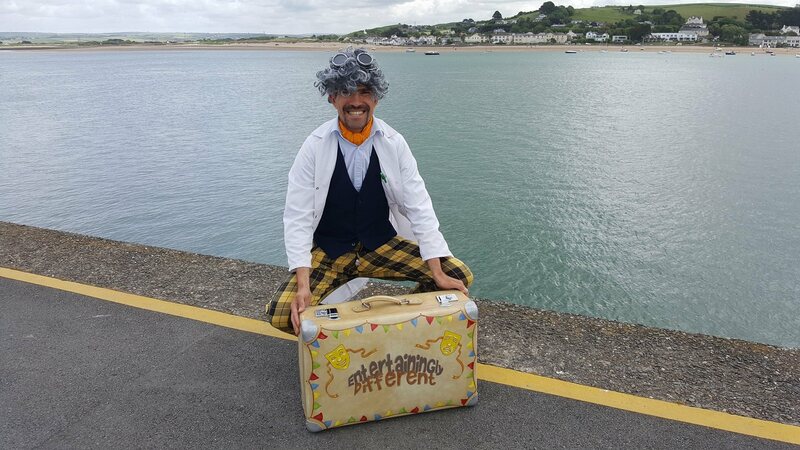 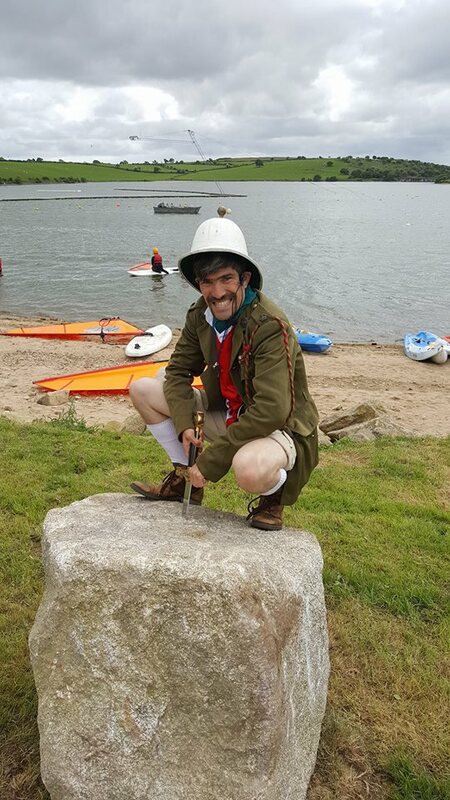 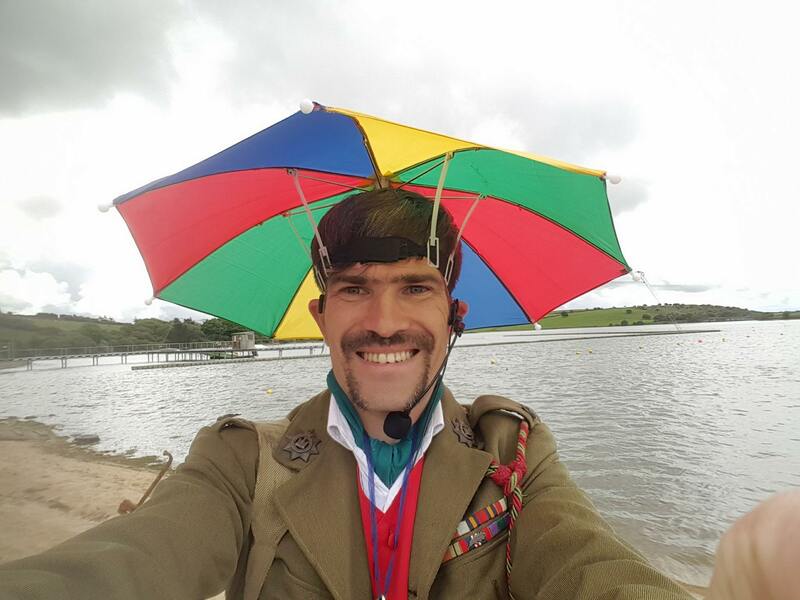 The Professor has visited many local schools, Appledore library and RHS Garden Rosemoor. 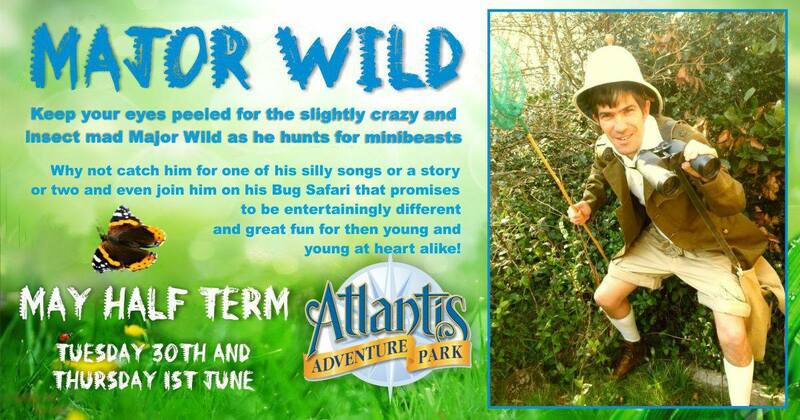 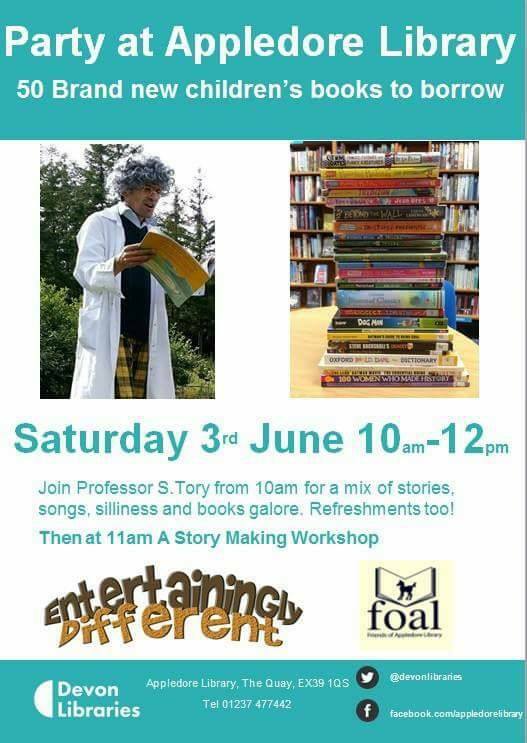 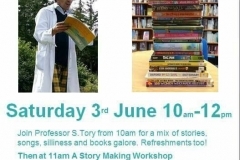 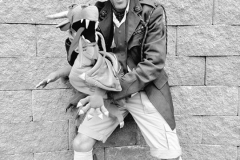 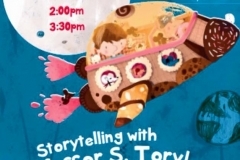 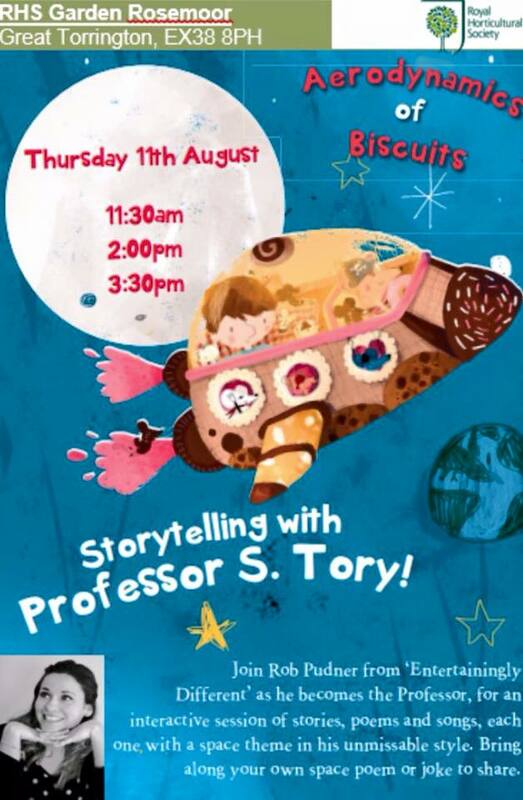 As well as sharing books and stories he is a dab hand at delivering a storytelling workshop. 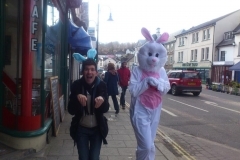 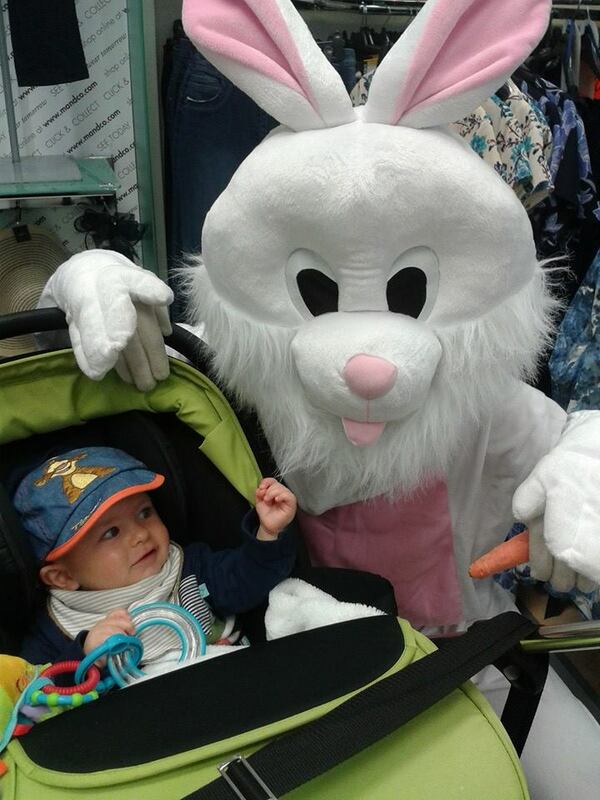 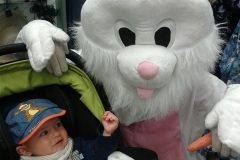 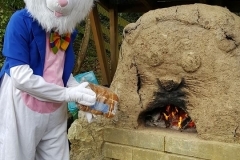 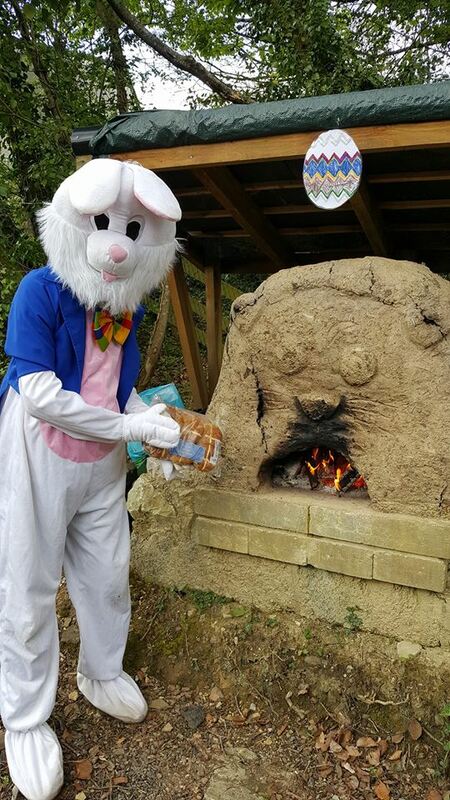 Rather partial to a chocolate egg, the Easter Bunny is available in the springtime to bring a bit of Easter cheer! 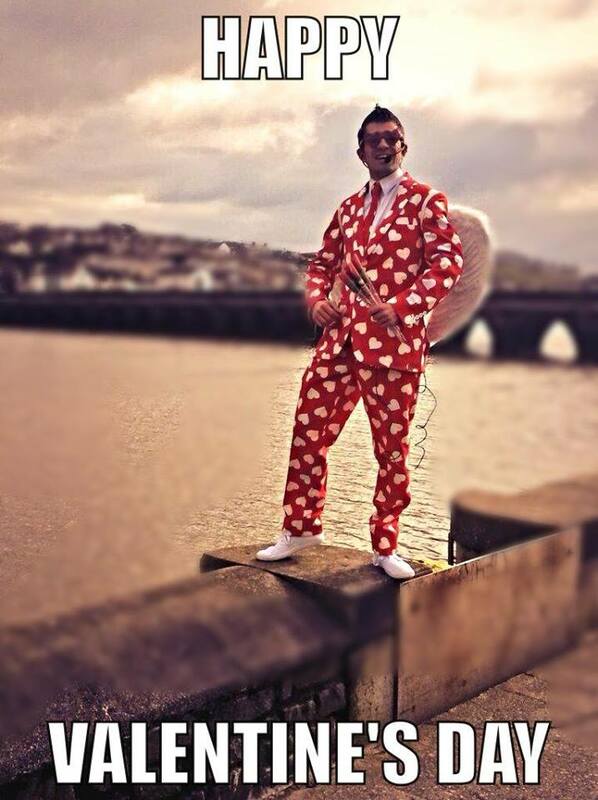 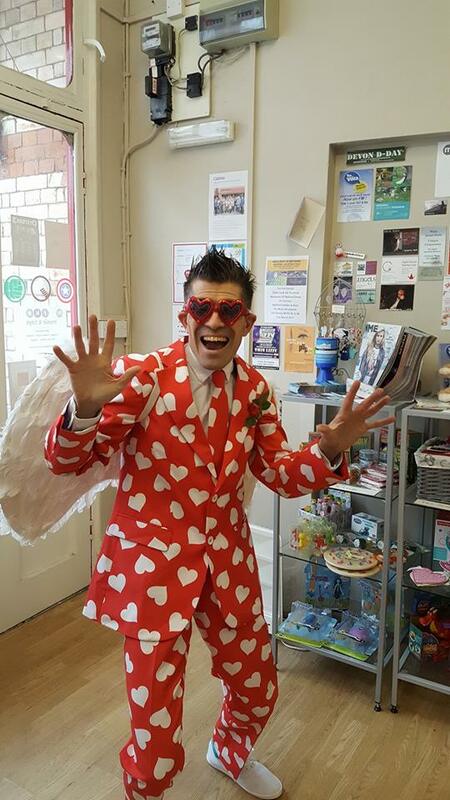 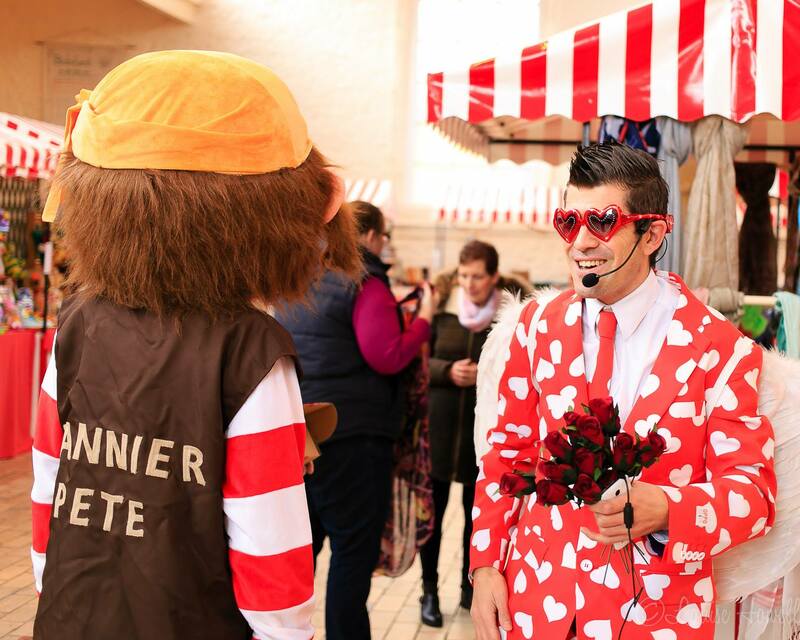 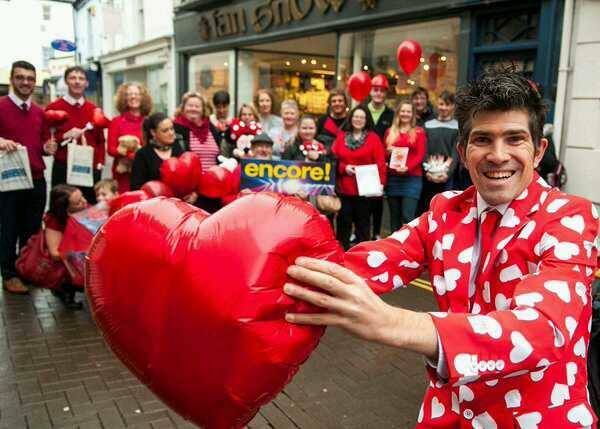 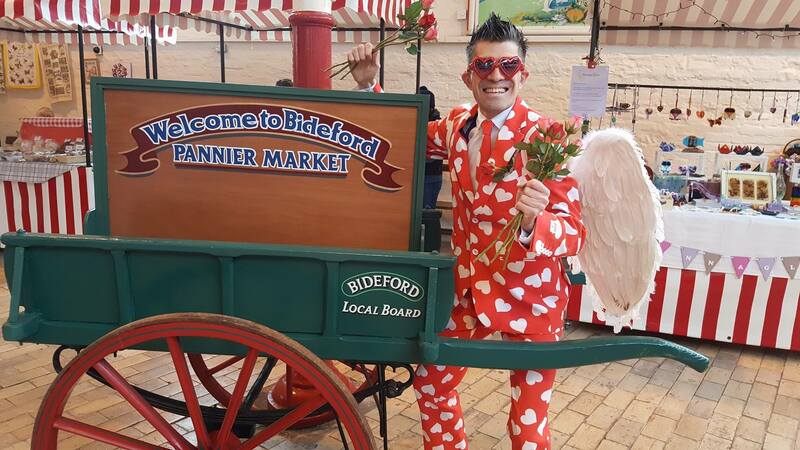 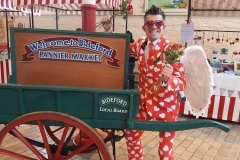 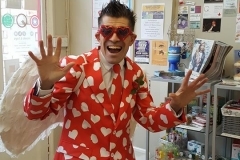 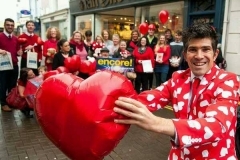 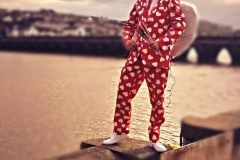 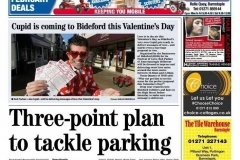 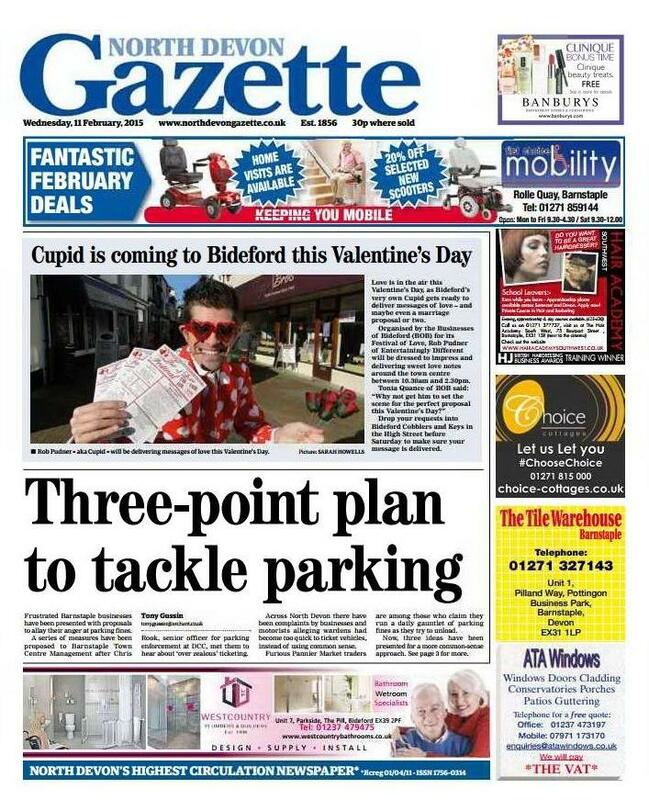 Typically seen around February time, Cupid is on hand to the spread the love with his songs, poetry and sometimes even the odd red rose and chocolate. 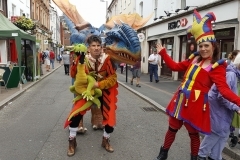 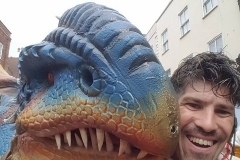 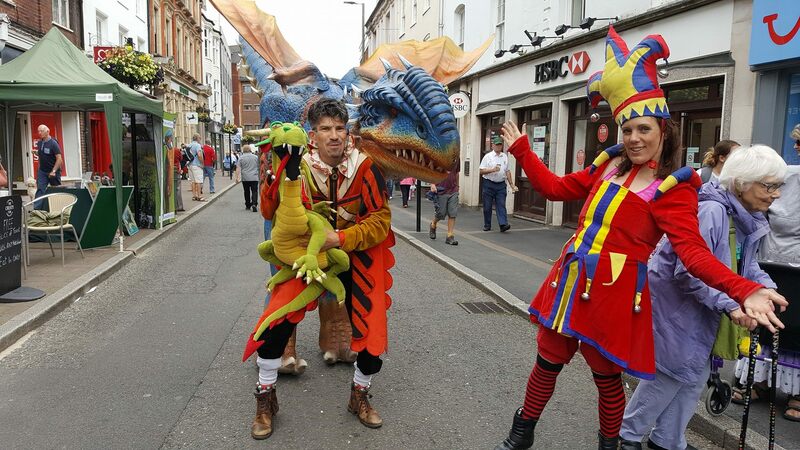 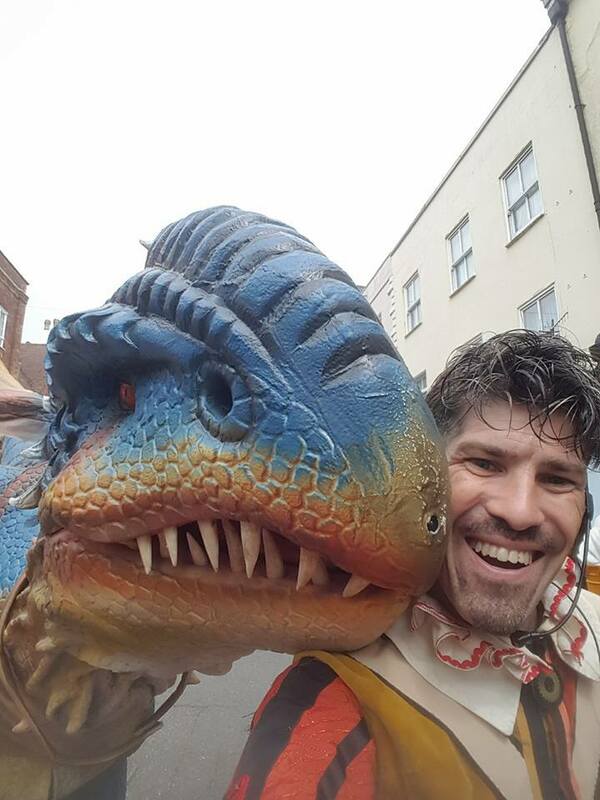 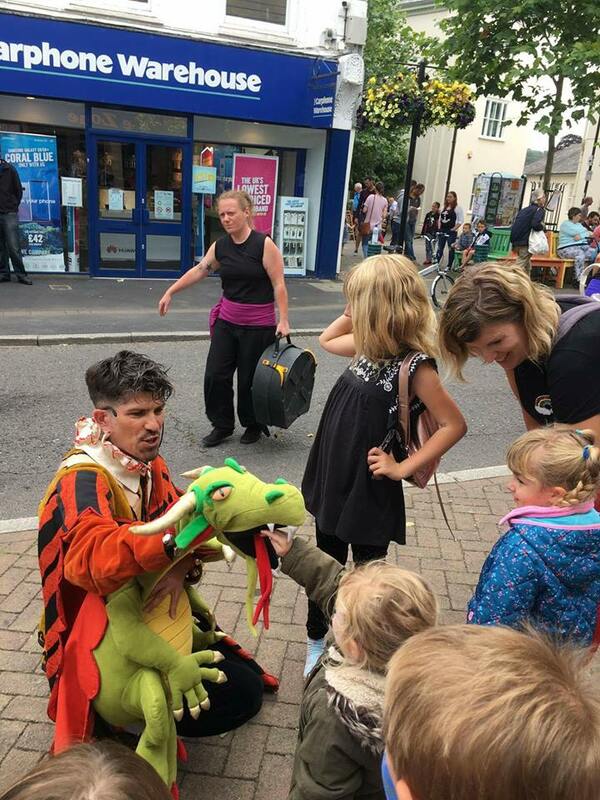 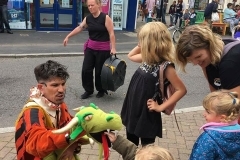 Often seen at the Feast of St James (Tiverton’s Medieval Charter Fayre), the Jester is accompanied by Custard the Dragon delighting young and old alike with much merriment and mirth. 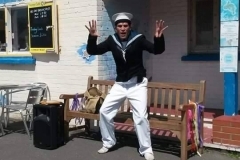 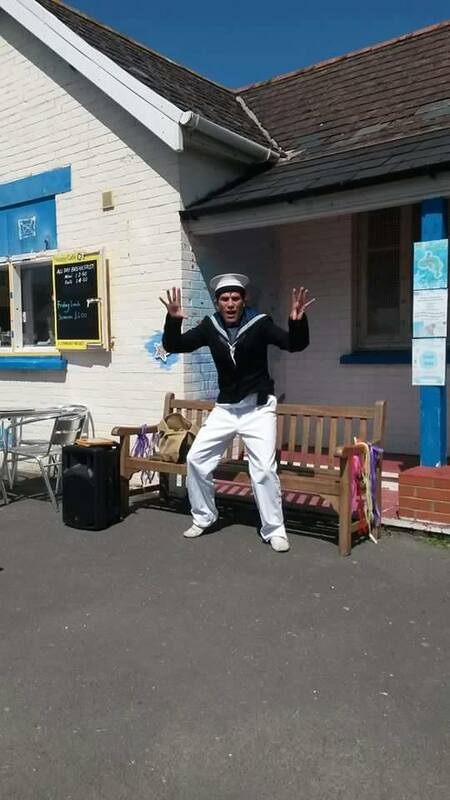 If you need some nautical themed entertainment including songs, stories and a little bit of hornpipe dancing then Sailor Bob is the man for you. 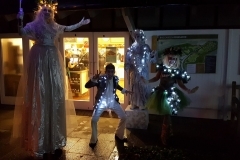 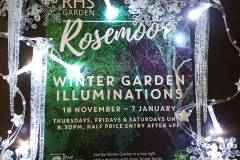 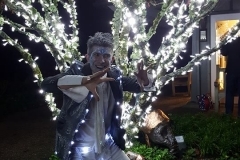 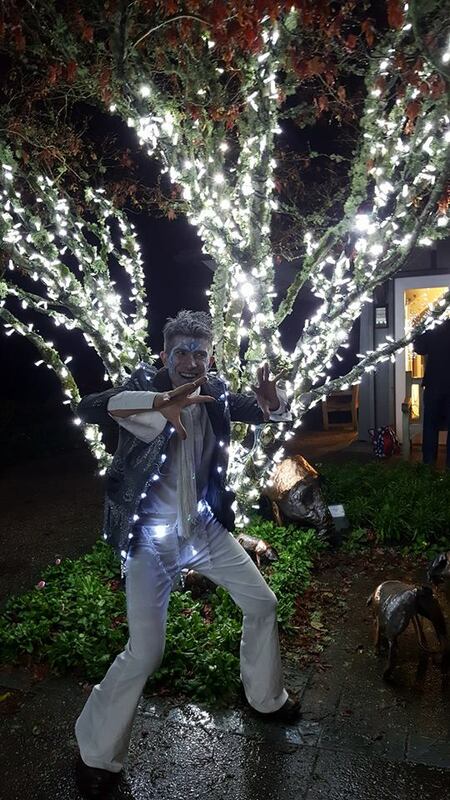 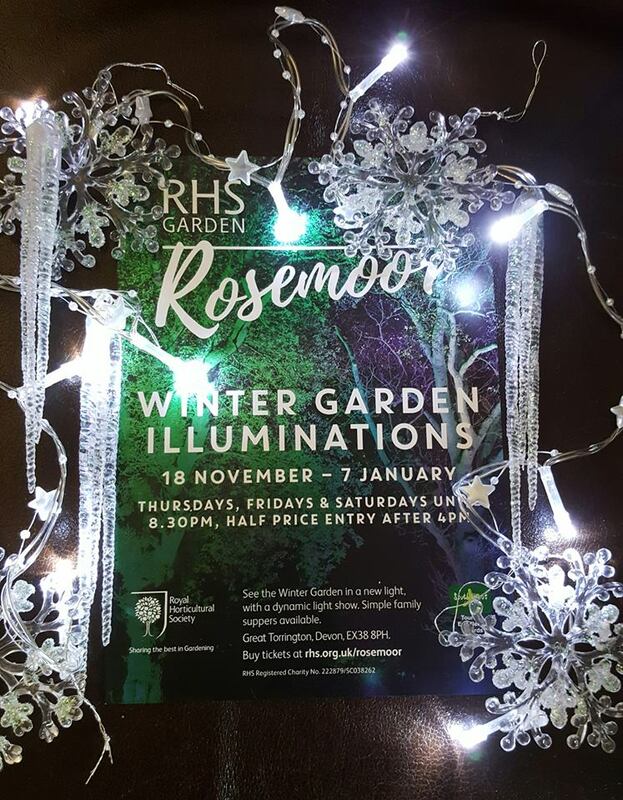 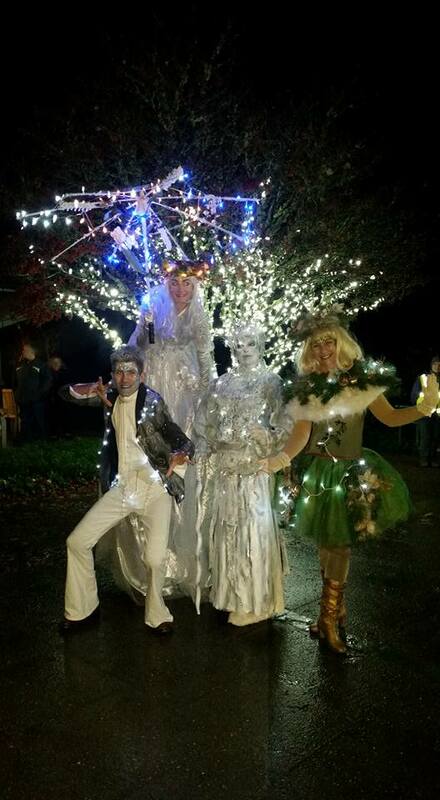 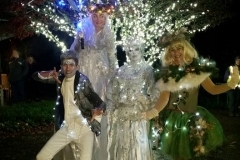 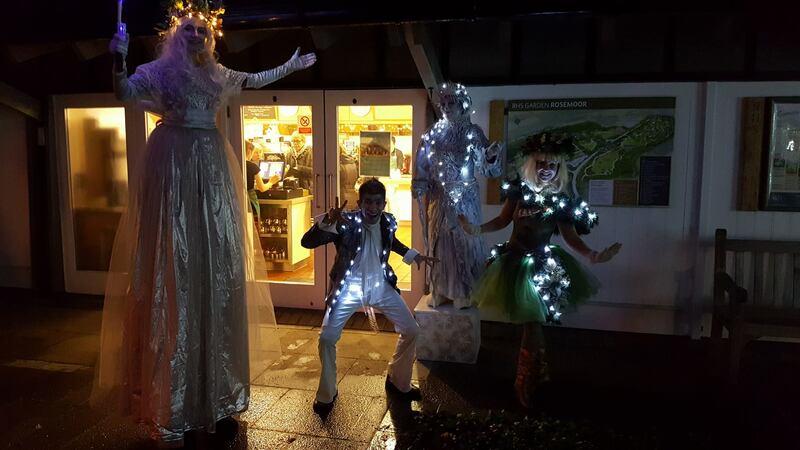 Jack Frost was first seen at the RHS Garden Rosemoor Winter Garden Illuminations. 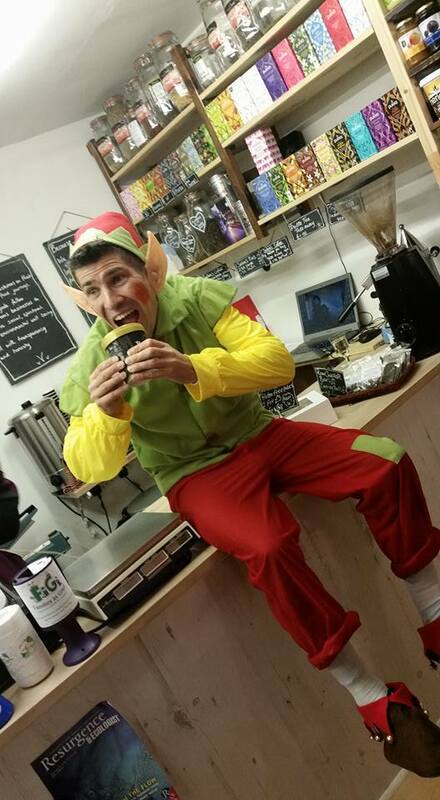 This cheeky chappy loves to walk the streets causing michief and mayhem, and of course bringing with him a big dose of Christmas cheer!